It’s been a cold Winter but Spring is right around the corner, bringing warmer days, more sunshine and the peak season of the housing market.So now is the time to not only stock up on allergy medicine but to decide if its time for you sell your home. 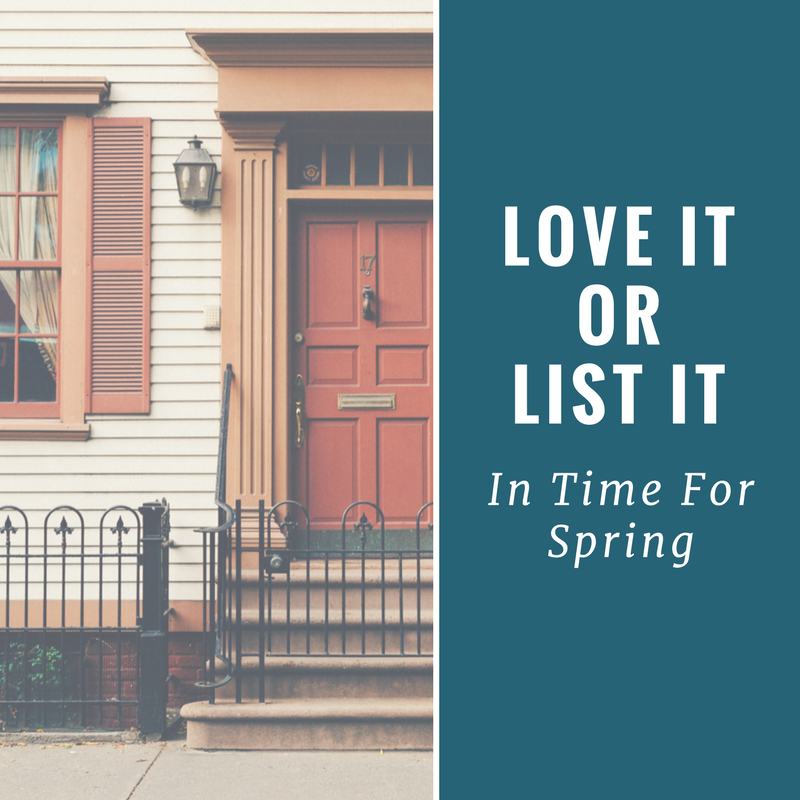 We’ve compiled a couple of things for you to weigh as you consider if you should love the home you have OR start prepping now to list it in Spring. Not Enough Space. If your family is growing or you just want more space to entertain family and guests. Location Location Location. Are you far from work, friends and where you spend most of your time or want to spend most of your time? It could be time to consider moving to the location you really desire. Equity. It’s not your dream home but it has served its purpose in more ways than one, giving you shelter and growing in equity. Now you can sell with profit and buy the home of your dreams - thats a really good reason to LIST IT! Equity. You have some, but not enough. If you’re in a up and coming neighborhood with the potential that the worth of your home will increase over the next few years - that’s a great reason to continue to love it - make improvements over time to improve your value even more. So when and if the time comes, you would have loved your house so well, it will love you back by bringing in lots of profit to go toward your dream home. You love it. This is pretty obvious but it’s worth stating. If you love your home, the location, your neighborhood, school and your family has put down roots there. Stay. Love and be a good steward of a home that you hope to have for many years to come. So will you LOVE IT or LIST IT? Contact Us Today either way . . .